This four bedroom holiday home is situated in the Verdon Regional Park. It boasts a modern décor and includes a large living room with kitchen and a private indoor heated swimming pool. 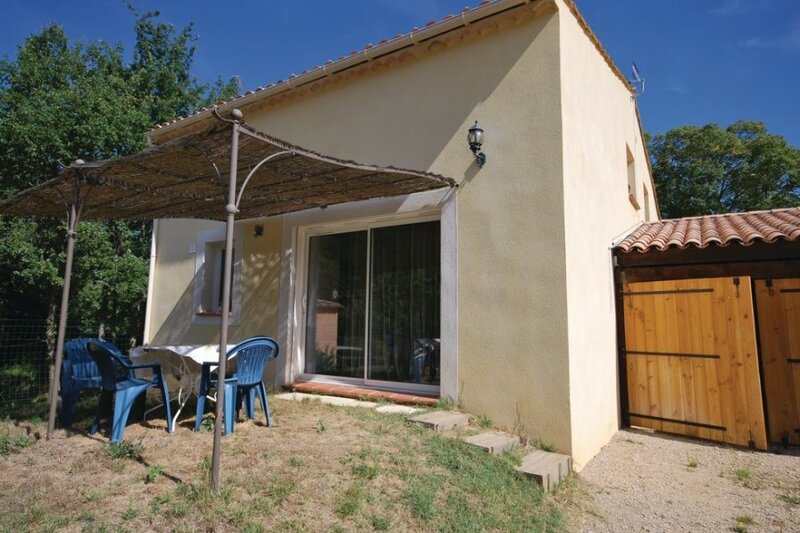 This four bedroom holiday home is situated in the Verdon Regional Park. It boasts a modern décor and includes a large living room with kitchen and a private indoor heated swimming pool. You will also benefit from a small terrace which is situated at the front of the house, as well as a spacious garden on the opposite side of the house. Upstairs, there are four bedrooms.The holiday home is just 3km from the nearest village, where you can find a restaurant and a small shop. The old and authentic Provencal village is home to stone houses and enjoys stunning views of the surroundings. Lac d'Esparon is just 10km away, where you can enjoy walking, mountain biking, swimming and watersports, including pedal boasts, canoeing, sailing and fishing. This solidly constructed villa was originally built in 1980 and refurbished in 2011. The agent has rated it as a three star property so it is a well-kept villa, equipped with standard furniture. It is also good value for money. This villa has a private pool and is located in Saint-Julien (Brignoles), only 7km from Greoux Les Bains. It is set in a good location: there is a restaurant 3km away.